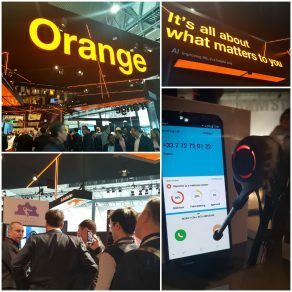 In front of a qualified public of worldwide device manufacturers and telecom operators, KiOne didn’t fail to impress at Orange booth when it showcased a key application from Orange. For Christophe and myself, between the discoveries of the beginnings of the 5G and those stunning curved screens like the Samsung Fold or Huawei Mate X, it was a perfect opportunity to meet the players of our market and continue our international deployment. Maddy Keynote event, organized by Maddyness, is an Innovation Summit that brings together more than 7,000 Innovation players, all here to debate, understand, analyze and experience what our future should look like. 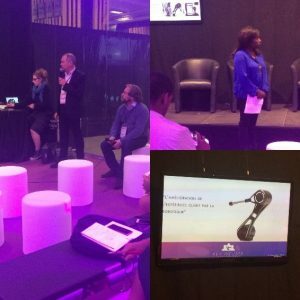 Key Infuser was selected with other start-ups to introduce KiOne robots. Key accounts like EDF, Auchan, BPCE and many others have discovered KiOne. Participation in this event demonstrates that Key Infuser’s brand awareness is growing and that our technology is recognized as highly innovative and disruptive by innovation specialists. 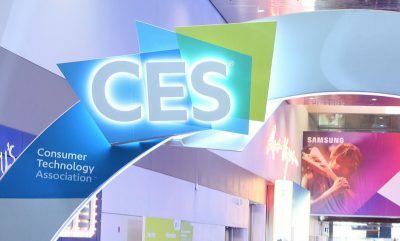 And we’re back, two years after starting our business for real at the CES. In the mean-time KiOne had travelled quite a few miles, with a presence in no less than 7 countries. Perfect timing to come back to the Eureka Park with two novelties: a smart KiOne which has fully grasped the art of writing, and our last innovation, “KiBox”. The robots have once more enlightened the day of many visitors while guiding them to the use of the products they were demonstrating. Associated with the launch of the new Samsung Galaxy Note 9 in Orange stores, our robot KiOne has a new super power: writing. The big plus of the Galaxy Note 9 is its stylus. What can be done with it is definitively what the robot must highlight. Lidwine Martinot, our CTO, and the R & D team have developed some magic formulas: a hint of artificial intelligence for calibration, some style and curves and “voilà”, a robot ready to show the Live Message, the screen sharing and the cropping. 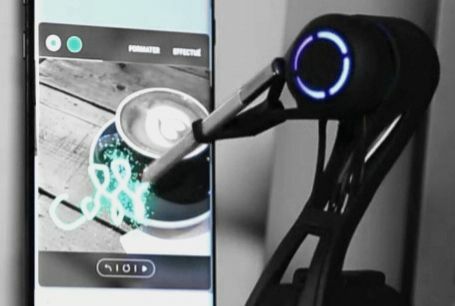 Slovakia, Romania, Belgium, Poland, Luxembourg, Spain and France welcome in Orange stores these unique robots eager to share their Galaxy Note 9 experiences. Woman Start by Orange Fab, we’re in ! Following naturally relationship with local Orange entities, Key Infuser just joins Woman Start program by Orange Fab and reaches international levels, in footsteps of startups like Famoco, Klaxoon, Bubbles, etc . Orange gives us access to their experts to support Key Infuser’s growth and to put in place a successful relationship with Orange BUs and its partners. 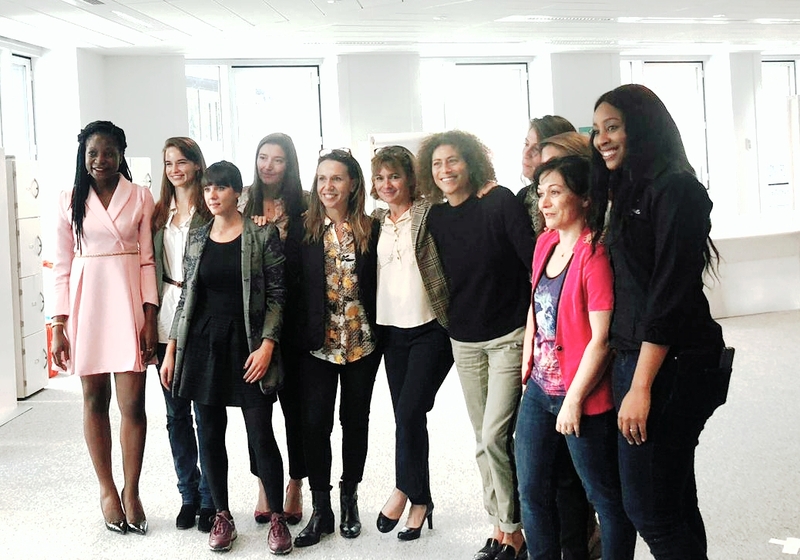 Beyond the launch event and the emulating meeting with other determined women entrepreneurs and Marie-Noëlle Jégo-Laveissière, Director of Technology and Innovation Orange, the operational follows up happens now: concrete actions are put in place from the first week of support. This invitation demonstrates recognition of Key Infuser’s expertise by a well known organization like POPAI. It was an opportunity for Key Infuser to promote its offer among a new segment : cosmetics and beauty industry. 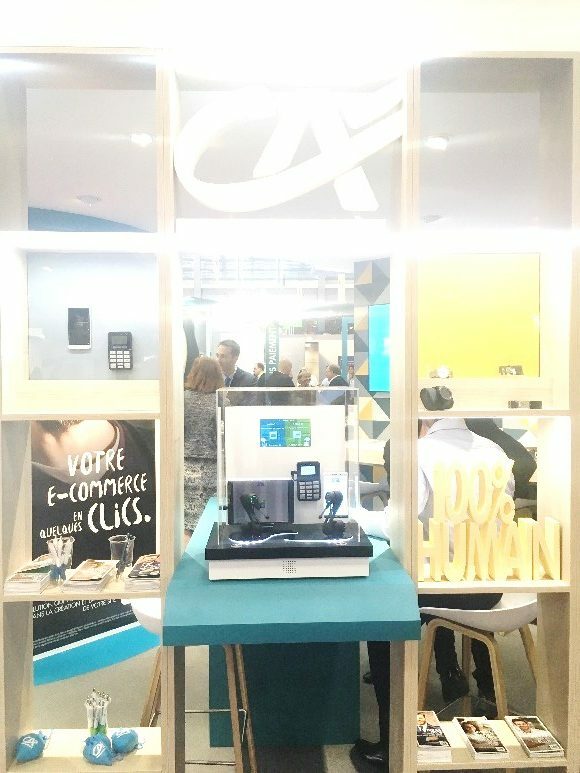 Key Infuser robots were visible on Credit Agricole booth for the Paris Retail Week event. 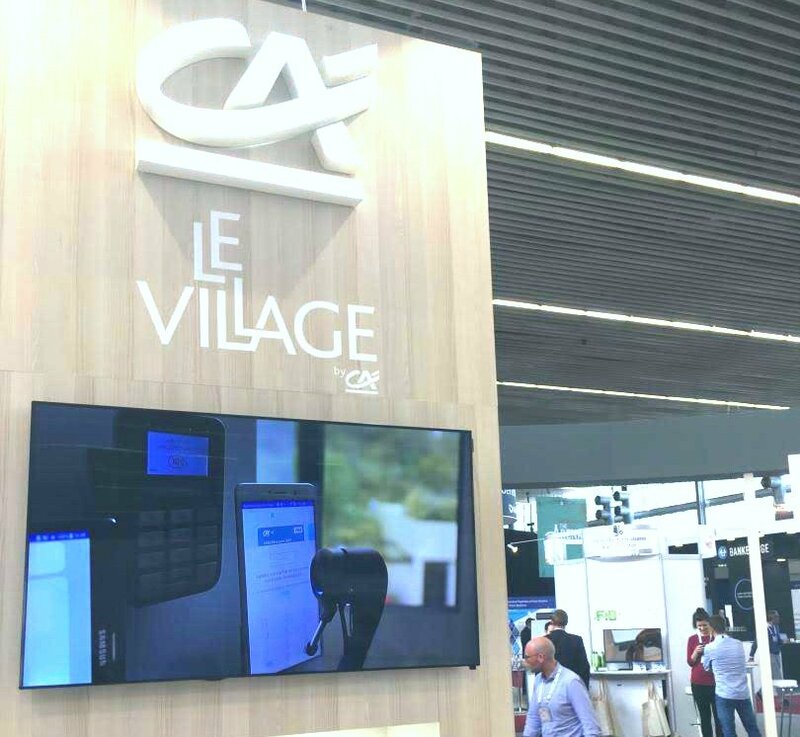 Our partnership with Crédit Agricole carries on ; we have developped a specific plateform with 2 robots to promote a new payment app from CA-PS (Crédit Agricole Payment Services). The 2 robots received much interest and helped CA-PS staff promoting their applications. 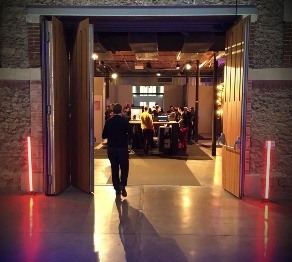 Key Infuser is selected by POPAI for the Connected Retail Initiatives, a program to support startups acting in the marketing at retail. POPAI “Point Of Purchase Advertising International” is an international trade association for the marketing at retail industry. Founded in 1936, POPAI has about 1,400 members companies representing Fortune 500 brand manufacturers and retailers, as well as, marketing at retail producer companies and advertising agencies from six continents and over 60 countries from around the world. POPAI is the first source of learning for the future of the industry, and provides resources, education, ideas and advocacy to enhance the power and performance of the Marketing at Retail community. Another sign of the recognition of Key Infuser by retail players: agency, brands and manufacturers! Key Infuser was at the Crédit Agricole stand for Money2020 in Amsterdam, the fintech reference trade show in the world. 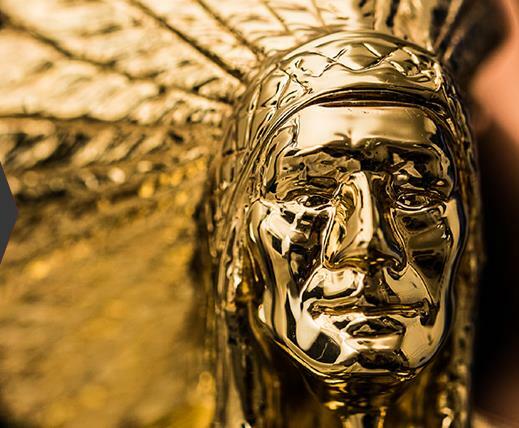 This presence has given to Key Infuser an international exposure to major groups. The banking sector is a priority for the company and the KiOne robot is the ideal solution to promote the launch of new applications. The world of finance is in full revolution with new and disruptive offers (new payment services, blockchain, data and analytics,…) and Key Infuser wants to be a part of these changes. Our presence has also allowed us to get to know the entire Crédit Agricole Payment Services (CAPS) executive committee and a partnership with CAPS has started, we can tell you more after the summer ! 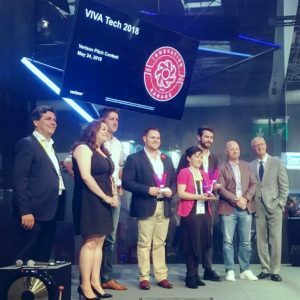 Our Customer Experience recognized by Verizon at Vivatech. Providing the best customer experience is a strategical point for the well-known NASDAQ company Verizon. And that’s exactly the focus of the challenge that they proposed to the 9000 startups who were at Vivatech. We are very proud to have won a prize on a subject that is dear to us. Bringing emotion, fun and pedagogy via KiOne the robot, are parts of Key Infuser values. 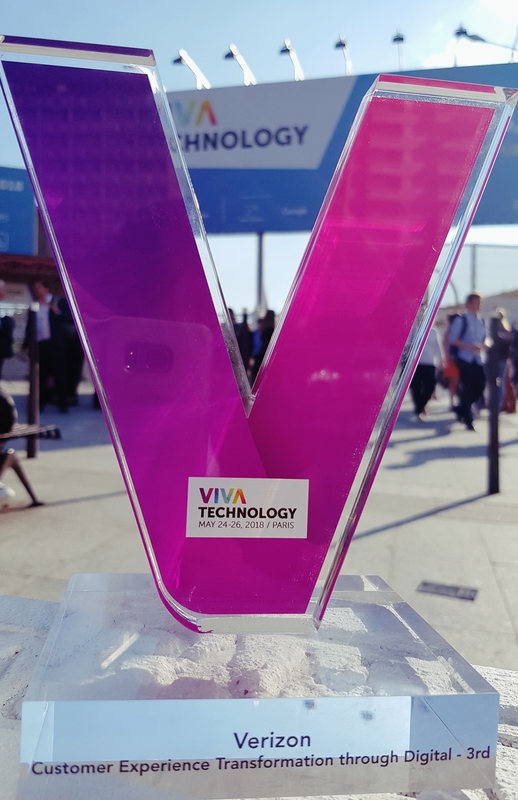 The opportunity of collaborating with Verizon around those values on an original project(…) is exactly the type of real opportunities that Vivatech Show generates.